As the countdown to the country’s second tripartite elections continues, there are fears that hundreds of police officers will not be dressed appropriately for duty due to the uniform crisis that has hit the Malawi Police Service (MPS). The Daily Times has established that the General Duties Department is the worst hit as it last received the kits in the year 2014. There are fears of an ongoing procurement and supply racket few months after a K53 billion uniform scandal was busted at the Immigration Department. Our investigation reveals that some of the country’s security men and women have been forced to improvise with boots and shirts from second hand clothes’ markets [kaunjika] in an effort to comply with uniform requirements to perform their duties. In an ideal situation, one police officer from Area 3 in Lilongwe said, a police officer should have four pairs of uniform comprising a pair of boots, trousers and socks, hat, shirt, belt and a jersey which should be given to them every two years. “There has been no explanation from our bosses; all they are saying is that we will receive [the uniforms] soon. But our colleagues at the mobile service got theirs recently though after a long time too,” she said. Another officer from the police regional office in the north who asked for anonymity said they are sometimes forced to report for duty in civilian clothes. “I have been in the service for quite some time and, in the last five years, there has been no provision of uniforms. Due to bad weather and, be laundry requirements, one may at times be found in a situation where they will go to work in civilian clothes. This directly undermines the authority and the esteem of police officers who are among the official carriers of the flag of the State,” said our source. 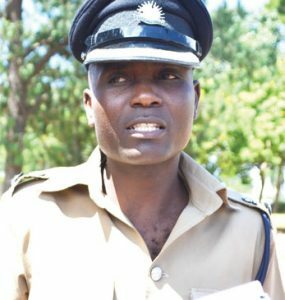 A Zomba-based officer who was with the Police Mobile Service and was redeployed to general duties complained that attending high-profile functions has been a problem because of regalia challenges. “At first impression, the bosses may not understand the extent of the problem, and if they see you in tattered boots, worn out trousers or shirt they hate on you. The thing is, even if we washed them, we would still look dirty and unkempt. When contacted, National Police spokesperson, James Kadadzera, said the MPS is in the process of distributing police uniforms, attributing the delay to procurement procedures. “We have the uniforms in stock; as I speak, the mobile department has been fully supplied with them and we are now dealing with the general duties,” Kadadzera said. Meanwhile, Minister of Homeland Security, Nicholas Dausi, has said uniforms are an administrative issue but said the government is committed to providing adequate supplies for all security agents in the country for smooth operations.